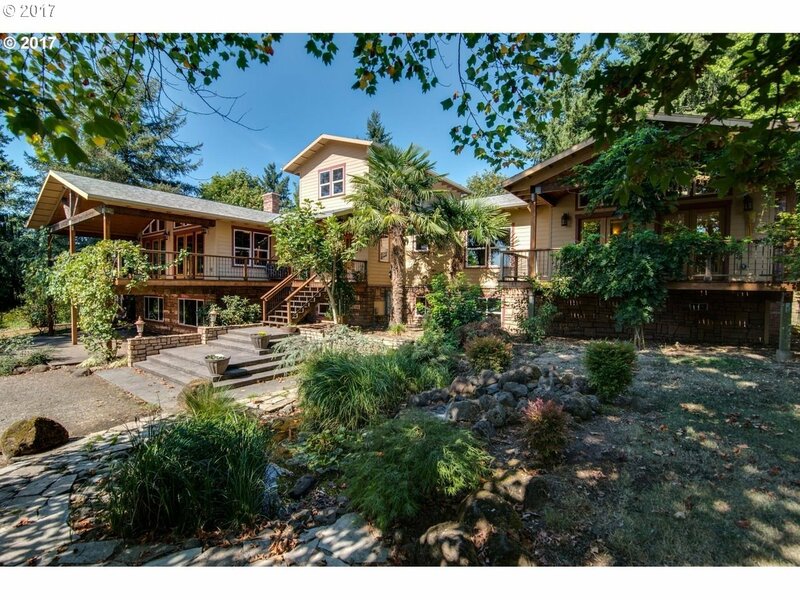 Be on vacation all year-round in this amazing private retreat, minutes away from Canby's town center. Tucked away on 4.42 acres, thegrounds are an outdoor oasis, complete w/ shop. Inside, enjoy picturesque valley views! Main living area full of grandeur: lodge-likeambiance, river rock fireplaces, exposed beam ceilings, oversized floor-to-ceiling windows! Multi-family living made easy w/ attachedadditional living quarters.